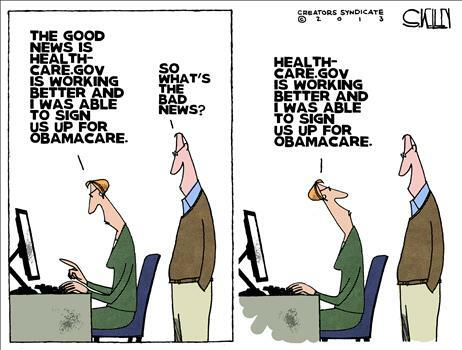 Home » Politics & Government » Obamacare: All Is Well? All is well with the Obamacare website, according to the administration. Never mind that it still crashes regularly; don’t mention that no more than 50,000 users can be on the site at one time; forget about whether you can actually complete an enrollment and pay for it; hey, at least you can get on it—sometimes, if you are lucky. I don’t know when I’ve ever witnessed an administration that could lie so blatantly and think they can get away with it. Oh, wait, there was Bill Clinton. 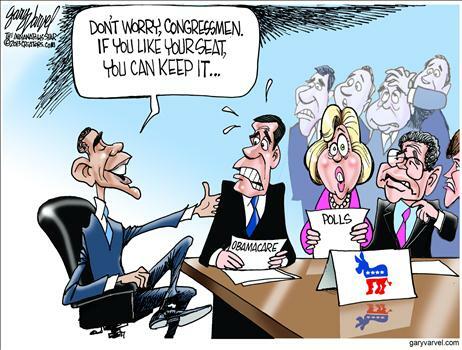 This has Democrats up for reelection in 2014 extremely nervous. 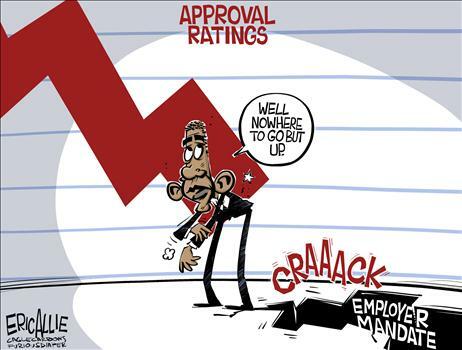 What can Obama possibly tell them to assuage their fears? No, I don’t think that’s going to do it. As much as I want to see Obamacare dead and buried, this is not the way. It sets an awful precedent for the future. 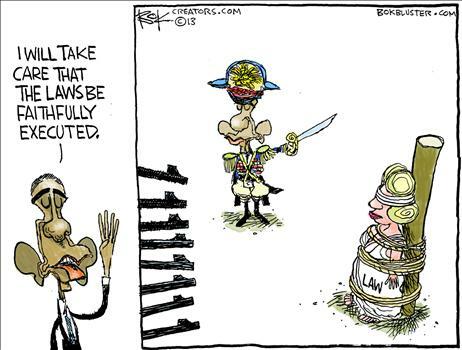 We’re supposed to be a nation of laws, and the rule of law should not be set aside. If it is, it will lead to tyranny.